Our newest article on Parkinson’s Disease! Take a look at our newest article on Parkinson’s disease over @ PharmacistAnswers.com! 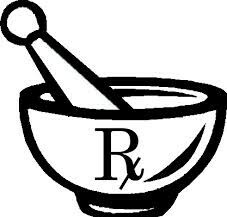 Check out our latest article on PharmacistAnswers.com! Here is most of the article but check out the website for pictures and the complete version! Most people would be surprised to learn that the effectiveness of many medications is hugely dependent on how exactly they are taken. It sometimes just isn’t enough to take your medication at the same time everyday. Something as simple as dosing at the same time as orange juice can decrease a medications absorption in the body by over 50%! A decrease in absorption by this much can have huge ramifications on how well these medications are working for you. What if this was happening with your blood pressure medication? What about a medication that is supposed to be treating a bad infection? The consequences could be significant. it’s very important to know how to exactly take your medication. This article will list some popular medications that have specific dosing requirements to ensure full effectiveness. Have a question about something you don’t see? Email us and we are happy to answer any questions you may have! While it is important to take your medication at the same time everyday, there are some that should be given at specific times of the day. Taking them at the wrong time can lead to lower effectiveness and possibly side effects. Drugs in this class include Protonix, Prilosec, Nexium, Aciphex and Prevacid. These medications are usually taken once daily but can be dosed twice daily in more severe cases. These medications work best if they are taken 30 minutes before a meal. The reason for this is because these medications only inhibit the acid pumps in the stomach that are active. Stomach acid is stimulated when food is ingested to aid in digestion. Taking the medications 30 minutes before food ensures that there will be peak concentrations of the drug in your body when the acid pumps are most active. It’s important to note that it can take up to 3 or 4 days of daily dosing before they’ll have full benefit. This is because not all proton pumps are inactivated with the first dose. Our blood pressure does not stay consistent throughout the day. In fact, it follows a fairly predictable 24 hour pattern. The most concerning part of the blood pressure pattern is what happens while we are sleeping. During sleep, our blood pressure dips to it’s lowest point of the day. It then later begins to increase around 4 to 6 AM and generally continues to increase throughout the day. There is a significant population (called “non-dippers”) of people whose blood pressure does NOT dip significantly during the evening. It is thought the risk of negative cardiac events is the greatest in the early morning and in those “non-dippers”. Most people take their blood pressure medications in later morning and therefore don’t have the greatest control of blood pressure when it matters most. There is good amount of evidence that suggests that taking blood pressure medications at bedtime not only improves blood pressure numbers, it may reduce the risk of heart attack and stroke! Now, only certain medications have good evidence for night time dosing. These drugs include ACE-Inhibitors (drugs that end in “pril”), ARBs (drugs that end in “sartan”) & calcium channel blockers. Diuretic medications, also known as water pills, should continue to be taken in the morning as they cause fluid loss and could increase the need to use the restroom at night if they are taken before bed. The statin medication class is currently the most effective drug class available to treat high cholesterol. The most significant contributing factor to our blood cholesterol levels is in fact not the cholesterol we take in from our diet, but actually the cholesterol that our own body makes. The statin medications reduce the amount of cholesterol that is created by the liver. Most statin medications don’t last very long in the body, certainly not 24 hours. It is therefore usually recommended to take them in the evening, when our body is most actively making cholesterol for peak effect. Two statin medications that don’t follow this recommendation are Lipitor (Atorvastatin) and Crestor (Rosuvastatin) as they last a very long time in the body and the time of dosing therefore does not matter as much. Medications for thyroid replacement come in extremely small dosages. Most medications are measured in milligrams, or 1/1000th of a gram. Levothyroxine is measured in micrograms, or 1/1000 of a milligram! A small change in how the medications is absorbed can cause drastic changes in your thyroid level. For this reason it is extremely important to take levothyroxine consistently. The most common recommendation is to take it first thing in the morning, 30 minutes before food or other medications. Again, the most important thing is to stay consistent in how you take the medication in order to get consistent blood levels! Bisphosphonates are a class of medications that are the primary treatment for osteoporosis. They include Fosamax (Alendronate), Boniva (ibandronate), and Actonel (Risedronate). Due to absorption issues, they should be taken first thing in the morning, 30 minutes before other medication or food. The only exception to this is a delayed release form of Actonel known as Atelvia, which should be taken immediately after breakfast. Certain blood pressure medications like amlodipine. It’s very important to not take grapefruit/citrus juices with these medications as the interactions can be significant. Most medications can be taken with or without food with no consequence. Many times it can help reduce nauseousness or diarrhea problems. There are certain situations however, where food can be a critical factor in how your medication is absorbed in your body.